Ecological sustainability and ecoliteracy development are goals of many Canadian organizations and professionals, including nurses. Currently, many ecological issues demand societal attention, such as climate change, food safety, unsustainable development, species extinction and exposure to toxic contaminants and pollutants. Critical issues that influence the health of our natural environment impact all of the social determinants of human health in many ways. To that end, the CNHE/IISE is designing environmental competencies and curriculum to share with nurses and educators. CNHE/IISE has initiated this work to encourage engagement and explore ways that nursing can collaborate with others to support environmental health. Join us for webinar to learn about the innovative technological tools being developed by CNHE for teaching environmental health and developing ecoliteracy in nursing education and practice. To increase awareness around nursing’s role in improving environmental health. Develop awareness of the interconnectedness of environmental and human health. Analyze how environmental health is a foundation for nursing and primary health care. Understand the role of the Canadian Nurses for Health and the Environment (CNHE) and the advantages of engaging with this group. June Kaminski graduated from the University of British Columbia (UBC) with Baccalaureate and Master’s degrees in Nursing and is currently completing a PhD in Curriculum Studies in the UBC Department of Education. She is the current Past President, Treasurer, and Webmaster for the Canadian Nurses for Health and the Environment (CNHE) and Editor in Chief of the Canadian Journal of Nursing Informatics and the Online Journal of Nursing Informatics. 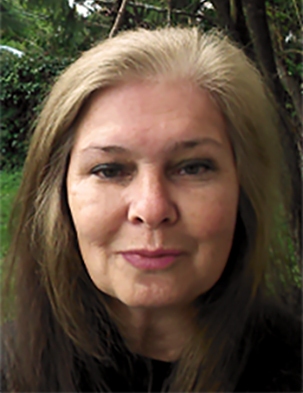 June is the Curriculum Coordinator of the BSN-AE program at Kwantlen Polytechnic University (KPU) and has taught in the KPU nursing programs since 1989. June is a Research Coordinator for Arthritis Research Canada with a focus on Indigenous wellness while living with arthritis. She is dedicated to guiding students, faculty and practicing nurses in developing nursing informatics, activist, cultural, and ecological awareness knowledge and skills so they can serve as leaders in the shaping of national and global health for all! Fiona Hanley completed her initial nursing training in the UK and subsequently her Master's of Nursing at the Université of Montréal. 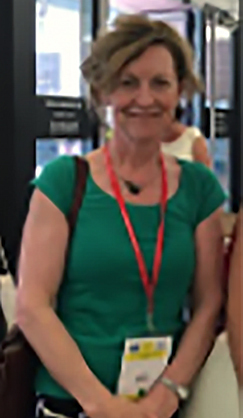 She has been involved in a range of activities promoting the links between nursing and environmental health, including the integration of environmental health in her teaching of nursing students, and presentations at conferences in Canada, the US, and France. She has published in both the Canadian Nurse and Perspectives Infirmières (Québec), and was on an advisory group for an online teaching module on climate and health for nurses. Fiona is a nursing faculty member at Dawson College, Montreal. She was a member of the Canadian Nurses Association Environmental Reference Group, and is currently the Quebec rep for Canadian Nurses for Health and the Environment. She is also a board member of Synergie Santé Environnement.